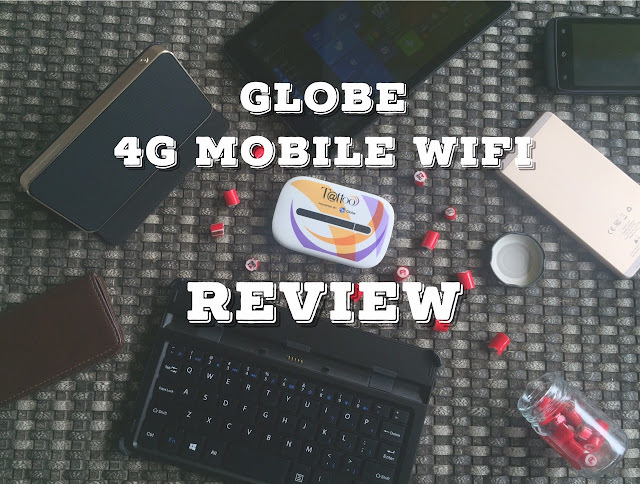 We have tried rocking Globe's 4G Mobile WiFi. Every stones turned in our review! Check it out. Mobile wireless modems cure our needs for mobile internet connection. The fact that most of us are productivity-oriented individuals suggests that our appetite for fast and reliable wireless mobile connectivity becomes insatiable. Plus, the steady growth of individual mobile device ownership opens a very lucrative market for these wireless modems. You can buy these devices off contract in your favorite stores but if you want a subsidized price, Globe is offering its latest 4G Mobile WiFi for Php 1,495. The modem is technically a Huawei E5330. It runs with the fastest technologies under third generation mobile wireless systems – HSPA+, HSPA and UMTS or WCDMA. Thus, this made the mobile WiFi offer up to 21.6 Mbps of download speed. At this point, several questions may have popped out. 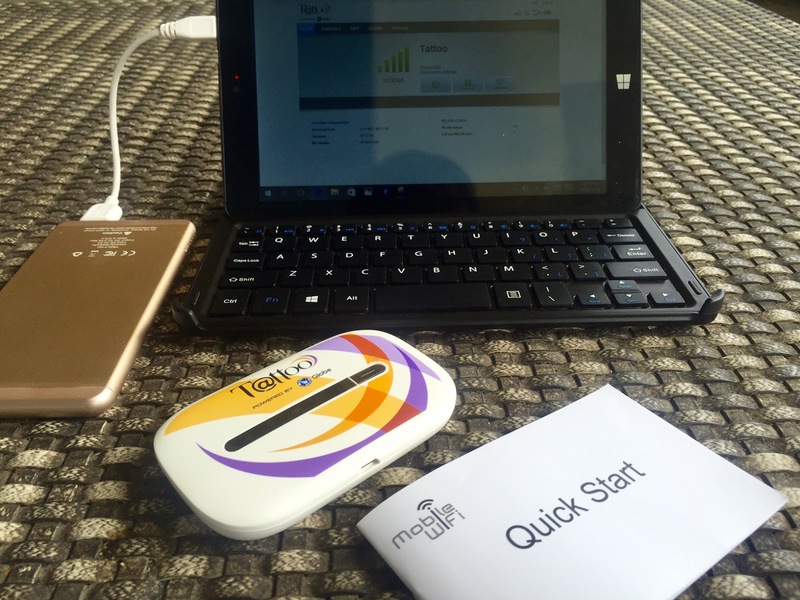 How does Globe 4G Mobile WiFi keep everything going in terms of productivity? How does it fair to other modem in the market? Is it worth buying? If you have the same set of queries, join us as we discuss this WiFi modem in our intensive review. 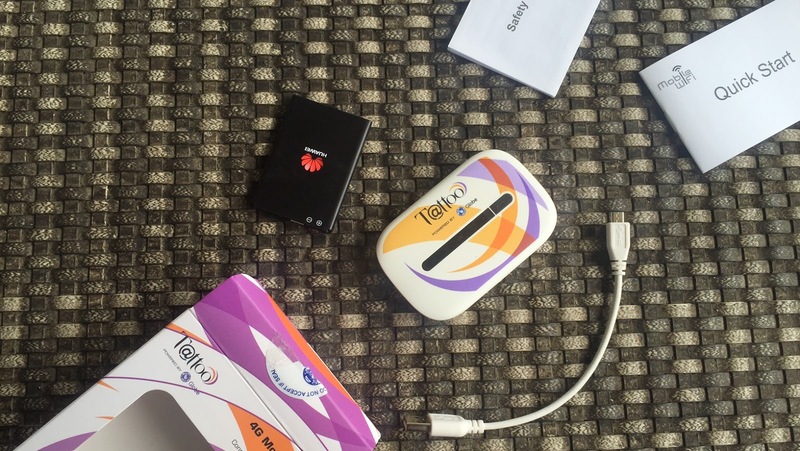 Globe 4G Mobile WiFi (MiFi) Review: What’s in the Box? Globe has packaged the Huawei E5330 in their revamped Tattoo box. The main WiFi modem is cushioned in a sliding paperback while battery is packed in a separate box underneath the modem’s compartment. There’s also a white microUSB to USB cable for charging and data transfer. Plus, a Quick Start manual and Safety Information Guide are included out of the box. 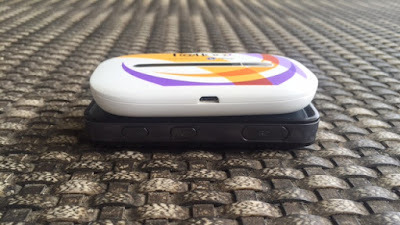 The Globe 4G Mobile WiFi is a plastic slab with filleted corners. I love how it feels good in the hand with its matte finish. The main interface of the modem is defined by an oval-shaped bar on the device’s top side. It flashes signal, WiFi, battery and message indicators in its panel. Likewise, the bar also houses the power indicator besides the power button. The microUSB port can be found at the lateral bottom side of the device (in landscape position). The back panel flashes the Huawei and “Mobile WiFi” branding. 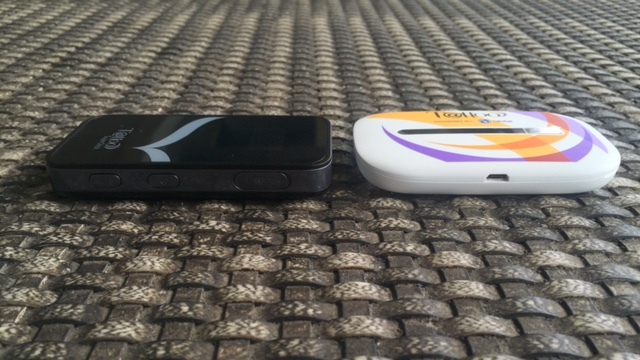 You can slide the modem easily in your pocket with its miniature size. It’s solidly built and could withstand occasional drops. Design-wise, I couldn’t be happier with the way it is designed to be a subtle object – you can slide it anywhere and it’s barely there. Comparing to the generation old Globe Tattoo Superstick, the Globe MiFi is thinner and lighter. Though I have no complaints with the size of my old WiFi stick, the svelte form factor of the Globe 4G Mobile WiFi is a welcome improvement for me. I just love the new design philosophy. Setting up the modem is very easy. First, you need to connect your device to the WiFi modem. Enter the security key provided on the back of the device. After having a successful connection, fire up a browser and type http://192.168.8.1 in the address bar. This will open the Web Management Page. You can customize your username and password here. Just be sure to use the default username and password - "admin". Once logged in, go to the WLAN Basic Settings under WLAN tab. Change SSID to desired name and input your new password. Once the change has been successfully made, remember that you will be logged out of your previous network. Try to get connected with your newly-created network; in my case, I changed it to Pinoy Metro Geek. You can also connect an Android device by tapping into its barcode printed at the back cover which is very convenient if you want to get hooked right away. And if you're curious to know, you can connect up to 10 devices with this modem. Most of you might be wondering why Globe is branding this device as “4G” when in fact, the technology used still falls under 3G systems. 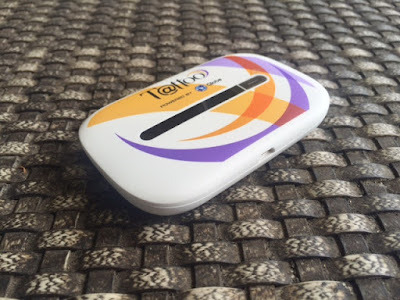 In my opinion, the telco is looking into the download speed capability of the device. It’s true that it is still in 3G platform, however, its speed could reach up to 4G capabilities. In this case, it’s 21Mbps - a 4G downlink speed. 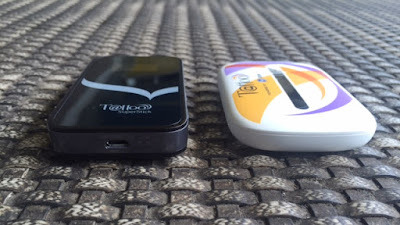 Branding aside, the Globe MiFi 4G Mobile WiFi feeds enough data speed to get me through a bus or a cab. I have no issues using the device while riding a bus from SM Seaside to SM Cebu. The connection is good, but not remarkable. Likewise, I also love the fact that I can use the device as a WiFi extender. This means that the Mobile WiFi could hook into a home network and extend its signal’s coverage. You just need to configure it in the Management Page. 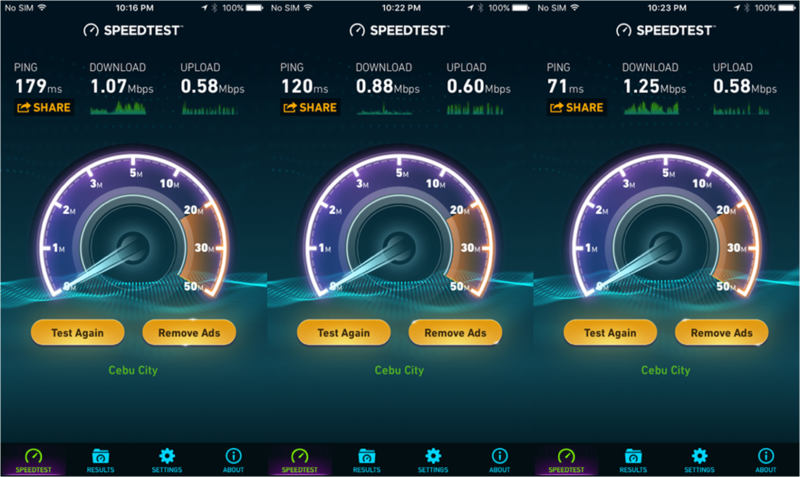 I tried a random Speedtest in our residential area somewhere in Talamban, Cebu City. The portable modem settles in 1Mbps download speed range. The uplink speed settles between 0.58 Mbps to 0.6 Mbps. 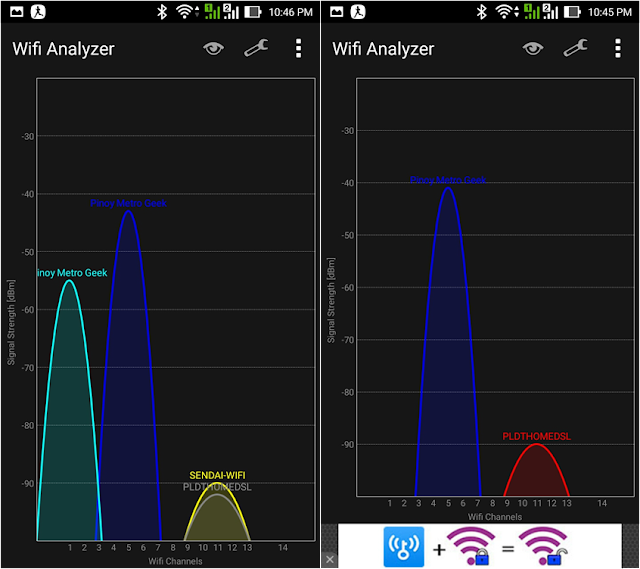 In our WiFi Analyzer test, the Globe MiFi (Pinoy Metro Geek in royal blue color) modem tallies the best signal strength among the available networks. The other Pinoy Metro Geek network (in Blue-Green) comes from the other WiFi modem which is in the same proximity as the Globe MiFi. Its signal approaches -40 dBm (decibel milliwatts); this means that it offers better signal than other wireless modem within the range. In our battery test, I hooked up an O+ Duo tablet and made a continuous video streaming test. 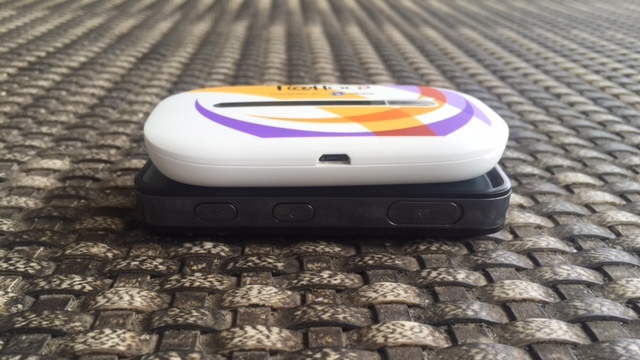 Globe 4G Mobile WiFi manages to squeeze its battery up to 5 hours before it hit the sack. I am also delighted to see the battery saving mode being automatically activated when the modem is inactive. Always remember that the device drains battery faster when its in an area with weaker signals. It's because the WiFi modem will continuously search for strong signals which eventually shortens battery mileage. The Globe 4G Mobile WiFi is a great deal for those in the market for a wireless modem. This is a great companion to “mobile” productivity-based professionals due to the fact that it could offer internet access whenever you're outdoors. This might not replace your home broadband, but it’s definitely a must-have when you are managing multiple devices outside your home network. By that, you can manage to complete several tasks at the same time. The battery life is also one of its deal-makers on top of the Battery saver feature that it has under the hood.